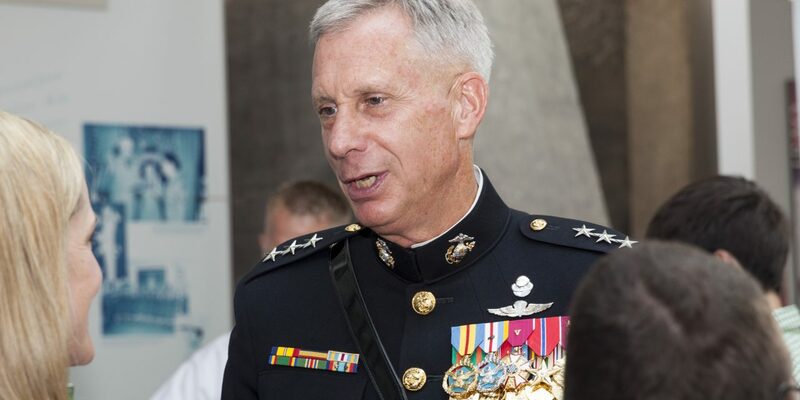 Gen. Thomas Waldhauser, the head of US African Command, today told reporters during comments at the Pentagon that it was “undeniable” that Russia has growing military links with Libyan National Army leader Gen. Khalifa Hifter. Waldhauser also claimed Russia had troops on the ground in western Egypt and are trying to “influence the action” in eastern Libya. Russia responded to the claim by reiterating that they have no ground troops in either Libya or Egypt. Gen. Hifter was a general in Libya back in the 1980s, and spend years as a CIA-backed rebel figure in failed efforts at regime change. After the NATO imposed regime change, Hifter went back to Libya from the United States, and launched a failed military coup. Hifter’s Libyan National Army is presently aligned with the Tobruk Parliament. The US used to back the Tobruk Parliament too, but now is backing the rival Libyan Unity Government, which operates out of Tripoli. Since the US shift, they’ve been condemning Hifter, and Hifter has made recent visits to Moscow trying to get more foreign backing. Tobruk officials claim Russia has pledged some aid to their forces, but the details are unclear.